Greetings from the Academy of Radiology Research, and the Coalition for Imaging and Bioengineering Research (CIBR), and thank you for your continued support. This new forum is intended to keep the Academy of Radiology Research and CIBR memberships aware of new developments and updates as they happen with more focus on a singular topic of interest. These updates will be delivered throughout the year as well as archived online for future reference. The National Institutes of Health (NIH) has received a long overdue $2 billion increase in funding. As we begin to focus on FY17 appropriations, it is important that the imaging community continue to advocate ensuring that the FY16 increase for NIH is the first step in a consistent commitment to capitalize on innovative scientific opportunity. NIBIB received a portion of the $2 billion increase in NIH’s appropriated funding in FY16 under the FY16 omnibus reconciliation bill. In total dollars, NIBIB’s budget in FY16 is $343.5 million, up from the FY15 budget amount of $327.2 million. 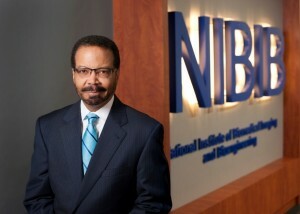 In addition to this increase, NIBIB is receiving $3.6 million for the President’s BRAIN initiative. In total, including the BRAIN funds, NIBIB received a 5% budget increase. The median increase was 4.6% across NIH institutes and centers when all earmarks are included. Without the BRAIN earmark, NIBIB received a 3.9% increase, in line with the basic increase (excluding earmarks) for other NIH Institutes. There has been intense pressure on the NIBIB payline because of the increasing importance of imaging and bioengineering in biomedical research (Science Translational Medicine (2015) Vol.7, Issue 281, pp. 281fs13). Over the preceding decade, NIBIB has received a growing number of meritorious applications while the budget has remained flat. Consequently, the payline has been on the decline and the institute leadership has been challenged to make policy adjustments to maintain the payline above single digits. With favorable budgets , it is NIBIB’s hope to protect the payline from any further decrease, and increase the number of applications funded in NIBIB’s ‘Expanded Opportunity Zone’ of selected, highly meritorious grants scoring outside the nominal payline. On behalf of the Academy and CIBR, I would like to encourage all of our members to join the NIBIB list serve (through the website at www.nibib.nih.gov) and to check the NIBIB website regularly to be alerted to the many upcoming opportunities of interest to our community. Of interest to the Academy’s Council of Early Career Investigators in Imaging and Council of Distinguished Investigators, NIBIB plans to introduce a new funding mechanism, the “Trailblazer Award,” targeted to investigators at early career stages, those new to the NIH funding system, and other groups that are underrepresented. At NIBIB, the R21 small grant mechanism has been successfully used by investigators to develop proof of principle data for promising ideas that have an impressive track record of subsequent development into R01 grant applications. The Trailblazer Award will be an enhanced R21 grant, customized with an additional year of funding (3 years total) and increased budget to provide added opportunity to investigators at early career stages or at first entry into the NIH system. These awards will support early development of novel research ideas and preliminary data will not be required or expected. Quantum Grants: NIBIB established the Quantum Grants Program to make a profound (quantum) impact on the prevention, diagnosis, or treatment of a major disease or national public health problem through the development and implementation of biomedical technologies within 10 to 12 years. This program challenges the research community to propose projects that have a highly focused, collaborative, interdisciplinary, milestone-driven approach targeted at solving a major medical or public health challenge through technological innovation. DEBUT (Design by Biomedical Undergraduate Teams) Challenge: NIBIB and VentureWell have now partnered to support and expand DEBUT, a design competition that challenges teams of students in undergraduate biomedical education to solve real world problems in healthcare. In past years, undergraduate student teams have applied separately to NIBIB’s DEBUT Challenge and to VentureWell’s BMEStart competition. The new DEBUT public-private partnership gives teams more chances to win a prize in recognition of their technological solution to a medical or healthcare problem. An important part of NIBIB’s mission is to develop technologies to improve health for patients. As such, NIBIB has a wealth of educational information and materials that would be useful to CIBR’s patient advocacy groups. NIBIB is disease “agnostic” in the applications they accept and thus supportive of research that leads to technologies for the benefit of a wide range of diseases and disorders. Patient groups and others are encouraged to see the Science Education section of the NIBIB website for information and materials about the types of research supported by the NIBIB. The website also features science highlights and videos in the News and Events section. Anyone in the patient community is also encouraged to sign-up for the NIBIB listserv and receive updates about NIBIB supported research. The Institute also posts regularly on Facebook and Twitter. From his earliest days as a graduate student at MIT, Dr. Pettigrew has worked at the interface of biology, engineering and the physical sciences to improve human health. As the founding Director of NIBIB, he implements this vision at an international scale, promoting the best science nationally and building global alliances to leverage the world-wide convergence of life sciences, the quantitative sciences, and engineering. A passionate advocate for transformative programs, Dr. Pettigrew established the HHMI-NIBIB Interfaces Program to create new interdisciplinary graduate training curricula and develop the next generation of convergence research scientists, the Quantum Grants Program (described above), a low-cost yet high performance diagnostics initiative with India, a national program to lower routine CT dose to sub-millisievert levels, an international initiative to develop cuffless blood pressure systems for passive monitoring, and the Consortium to Address Paralysis from Spinal Cord Injury, among other emerging initiatives. Also an ardent supporter and promoter of STEM education for youth and for diversity in the biomedical workforce, Dr. Pettigrew served as the NIH Acting Chief Officer for Scientific Workforce Diversity in 2013-2014. Recently his undergraduate alma mater, Morehouse College, established the Pettigrew STEM Scholars program, named in his honor. This program awards scholarships to ~20 outstanding students in the STEM disciplines. Prior to his appointment at the NIH, he was Professor of Radiology, Medicine (Cardiology) at Emory University, and Bioengineering at the Georgia Institute of Technology. He was the first Director of the Emory Center for MR Research. A Renaissance man, Dr. Pettigrew is also an amateur painter, trumpet player, and skier. Dr. Pettigrew’s current research focuses on integrated imaging and predictive biomechanical modeling of coronary atherosclerotic disease. Monday April 11th NIBIB will host the Academy’s Council of Early Career Investigators in Imaging where they will meet with NIBIB Program Staff. Tuesday April 12th Dr. Pettigrew will be the keynote luncheon speaker prior to the 7thAnnual CIBR Medical Technology Showcase on Capitol Hill. The Division of Health Informatics Technology is the newest division within NIBIB and is focused on research in health information technology. Some of the areas of interest include mobile informatics, real-time closed loop cyber-physical biomedical systems, methods for integrating biomedical imaging informatics and laboratory tests with digital pathology, development of approaches to reduce medical errors, development of tools to improve interoperability among medical devices, methods for improving interoperability across EHR data, and tools for improving biomedical data privacy and security. Dr. Vinay Pai is the director of this new division. As always, thank you for your continued support of the Academy, CIBR, and our advocacy efforts. Please take a moment and let us know what you think of this update by dropping me an e-mail at [email protected] when the opportunity presents itself.